Are you looking for an easy way to make stellar-looking intros to your Youtube videos? 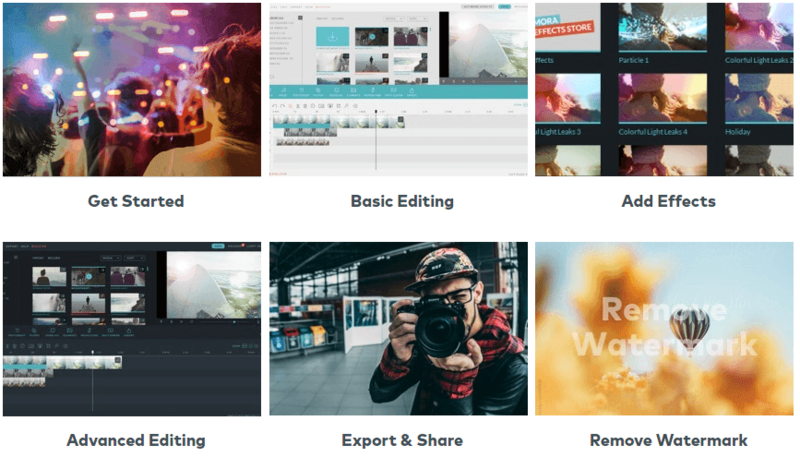 This post is a list of the hands-down best video intro maker tools. 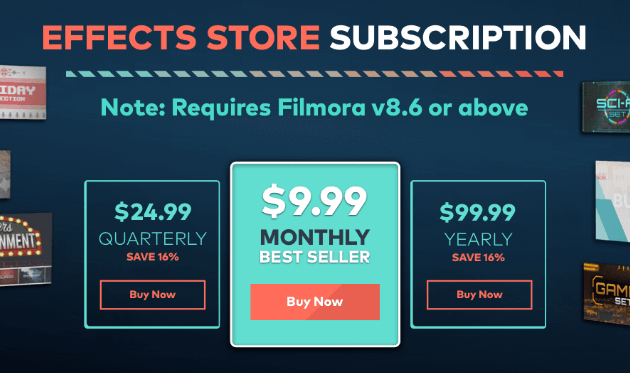 Filmora by Wondershare: The most versatile and powerful, but pricey option. Filmora will help you create jaw-dropping and intricate intro videos (or full-length videos) that look exactly the way you want them to. Intro Maker: This is one of the leanest and most basic options. Intro Maker will help you to quickly make a lot of intro videos with your logo or other images. That being said, you should probably check out the rest of the tools before deciding on one. Why Use A Youtube Intro Maker? 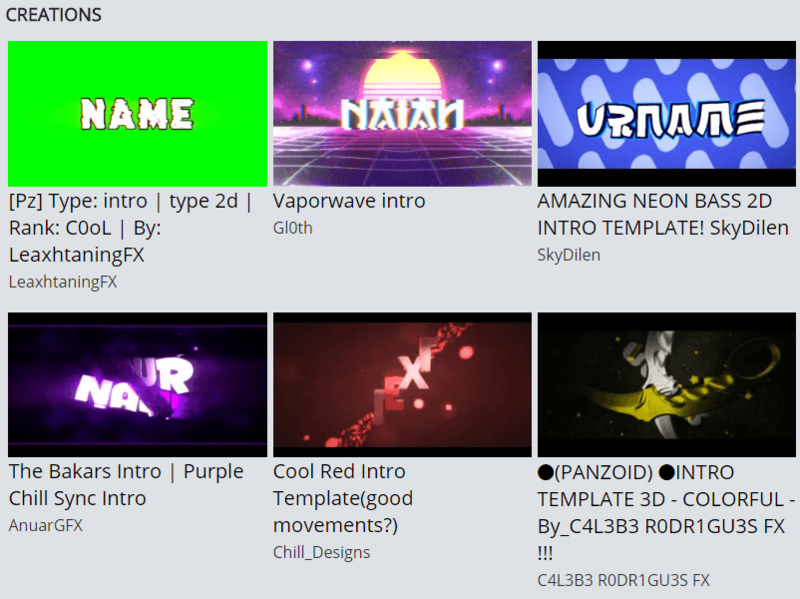 Intro makers give you a quick and easy way to customize your intro without having to spend a lot of time and effort. Showing your brand isn’t the only value that intros provide. Intros can be as simple as a logo, or a more intricate hook that gets your audience to keep watching. 85% of marketers say they plan on creating more video content in 2018. As video grows in importance for marketing, optimizing your videos is crucial to get them watched. This includes optimizing the video’s intro. Visually interesting to capture attention. Branded with either your logo, colors, face or something else unique to your company. Long enough and clear enough to tell the story of what your video is about. Short enough to not cause people to bail. Aim for 5 to 10 seconds. Unique and engaging enough to make people want to stick around. An intro maker can help you capture all these elements so you don’t have to make your intro from scratch. These tools help with this by giving you a template to start with and generally easy-to-use editors and graphics. The best Youtube intro tool for you is going to depend on your needs and budget: some tools have features you can’t live without, while other slimmer tools might be able to do all you need. Whatever you’re looking for, you’ll find something on this list to make your video’s intro great! Click here to see how we can turn your blog posts into beautiful videos. Now, let’s talk get into the different tools. 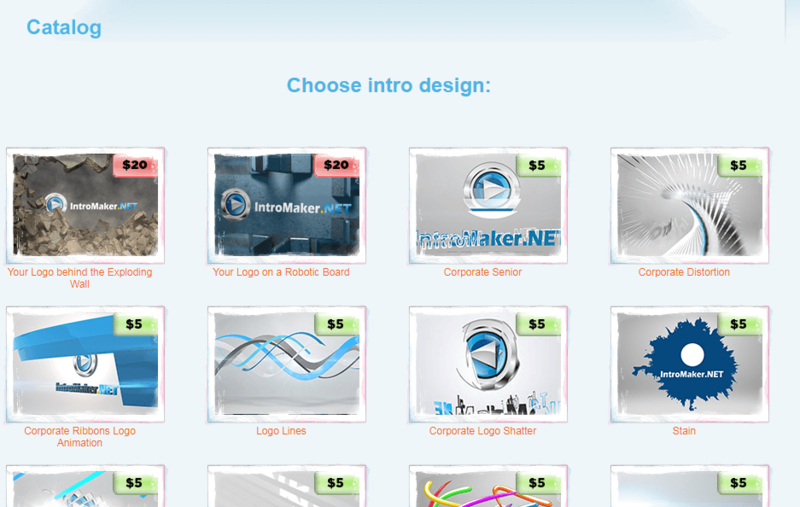 Intro Maker is a lesser-known intro making service, but it’s simple to use. IntroMaker has one main purpose. 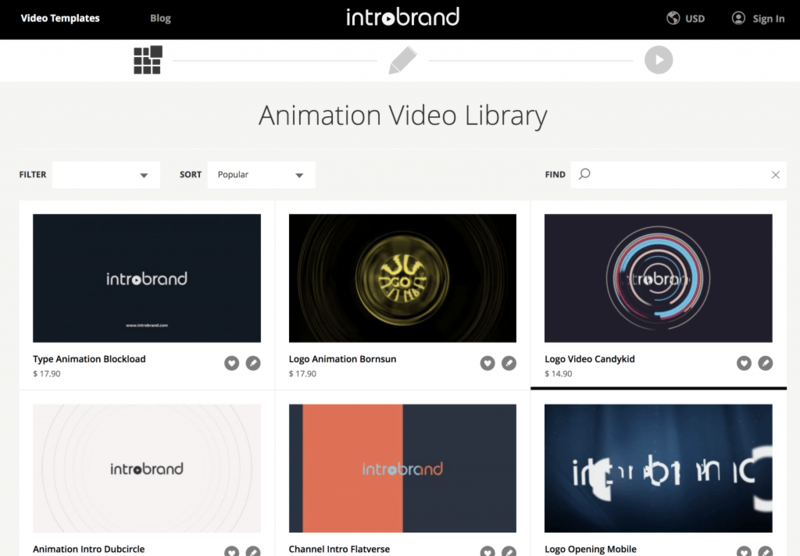 It was designed solely to create animated intros that feature your logo. It’s easy to use if you’re looking for a clean and simple intro. Despite it’s simple interface, IntroMaker.net makes videos in full HD at 1920x1080px. This would be a good option if you need to make a lot of simple-looking intros that match the quality of your HD videos. There are some free videos in their catalog. But you’ll likely pay per template, starting at $5. The service only offers straight download templates through your email. These are simpler videos with no 3D capability. Videos can only be delievered to you .MOV format. Check out this sample of an Intro Maker intro. IntroCave offers a different and unique spin compared to other intro makers on the market. This option allows you to splice in your content to a base video from their library, and then render it for downloading. Intro Cave is extremely easy to use. 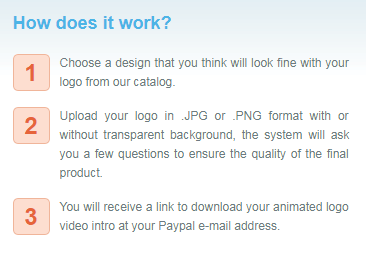 There is a free option showing their company watermark, but you’d only use it for demos. There are a lot of beautiful particle effects to improve the overall quality of your videos. You can get some great high-quality HD video options if you’re willing to opt for one of the paid options. It’s a more popular app so there’s a chance someone else will be using your same template. You have to pay if you want HD or just to remove the watermark. Higher definition videos will cost you anywhere from $5 to $20 per video. Intro Cave only accepts PayPal for payment processing. If you don’t have a PayPal account, you’re out of luck. Here’s an example of an IntroCave intro. IntroChamp is one of the other no-frills options currently on the market. If you have videos that need good-looking intros but you don’t need a wide variety of intro clips for them, there is probably an intro template that looks nice and will work well for you here. The prices aren’t bad. You pay by the template, and most of them are only $4.98. You can choose from over 300 different template options. Some of the templates are pretty high-quality. It’s pretty basic to use so you can create an intro in about five minutes. There’s not a lot of ability to customize the templates. Although there are over 300 templates, some are better than others. A few look like old CGI throwbacks. There is no free option. Intro Champ only supports video exports which are emailed to you. You can’t export to Youtube from their platform as with other options. So if you use IntroChamp just know that you need to store the finished files yourself and upload them to YouTube on your own. Check out this IntroChamp sample. Renderforest is probably one of the most popular Intro Makers, with over 5 million videos created so far. They have a massive collection of templates. There are plenty of customization options. Renderforest allows you to modify the lighting, speed, and animation of whichever template you pick. They offer more than just intros if you decide you want additional services. They’re pricey. They do have a free option, but you pay for what you get. If you want the special features, you’re going to have to upgrade. The free videos are low quality, only 360SD, and they come with a watermark. The user interface isn’t as smooth as some of the competitors. Check out this sample of Renderforest in action. Panzoid definitely has some die-hard fans, but it’s also a bit old school. They have a great editing suite for modifying any of their templates to suit your needs. Panzoid offers video editing services and backgrounds as well as Intros. They have a great community of engaged people you can communicate with, get advice from and learn from. Best of all, it’s entirely free. The site’s user interface is busy, and it’s not easy to navigate. The tool is not user-friendly, and it feels pretty outdated. The animation options are limited. Here’s an example of how a Panzoid intro might turn out. Want some help with your videos? Click here to learn how you can turn your blog posts into professionally produced videos. Tube Arsenal is one of the newer tools on the market, but it’s got some good things going for it. No software or experience is required to figure out how to use this tool. Tube Arsenal was designed to be easy to use for beginners. They also offer a few particle-effect laden templates, which are pretty good. The amount of customization available is pretty limited. There is no free option. You pay per template, and they range in price. They can start as cheap as $9, but the more popular ones seem to be $15 for the basic version. 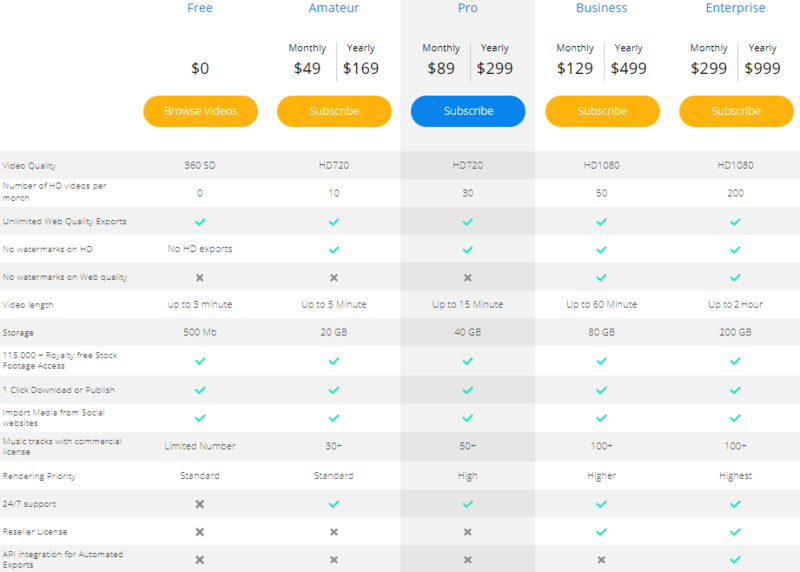 If you want 1080p HD, you’ll be paying an extra $2-$4 per template. The website isn’t the easiest to navigate. Check out a Tube Arsenal intro. Biteable is one of the simplest intro makers to use. Biteable is completely free to use unless you want to upgrade. Their 2D intros are good quality and look polished. It’s easy to modify your intro for each video you produce. It’s great for simply describing the content of your video. It doesn’t provide much as far as customization. There is no 3D option. 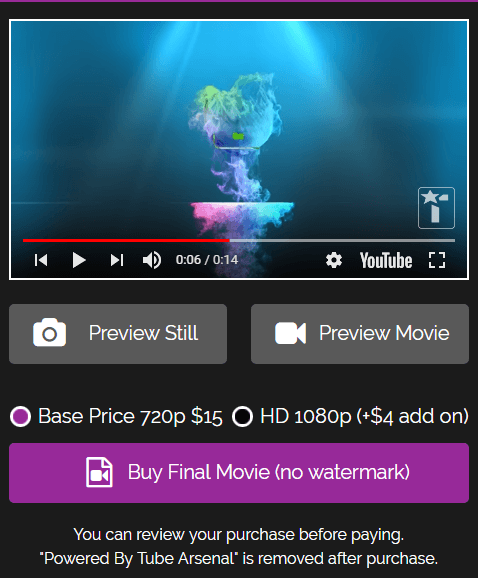 Biteable’s watermark will be on your intro unless you go premium. It’s not eye-catching. It’s you’re looking for something to really grab people’s attention, this isn’t the tool for you. Check out this sample of Biteable. Filmora is the Cadillac of intro makers. If you’re looking for the top of the line model, you just found it. It’s a fully-fledged video editing and animation-creating studio. If you’re already an experienced, successful channel, this might be the tool for you. It has a ton of advanced features and options. There are tons of effects and motion elements that you can implement, with more available for purchase. Unique to Filmora, it offers a number of musical tracks that you can build into your intro. Filmora also offers the ability to download their mobile app, which means you can even do basic animation on-the-go if that’s your thing. It has some monthly pricing schemes, all of which are more expensive than $30 with some as expensive as $300. The editing and customization features can be pretty complicated to navigate. Here’s what a Filmora intro can look like. 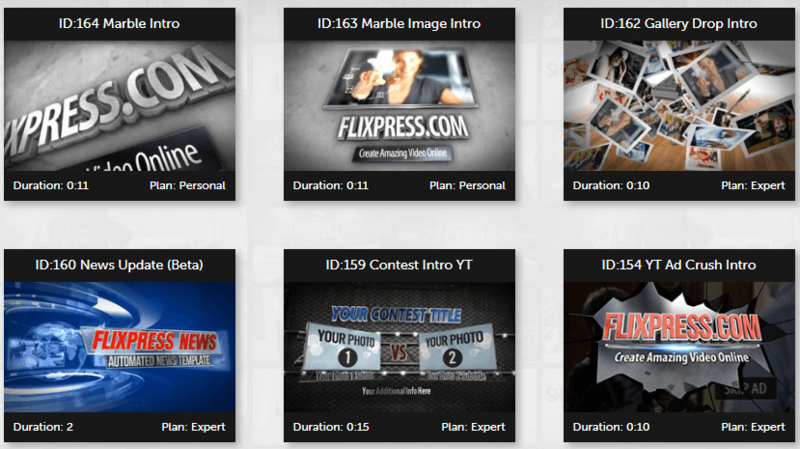 Flixpress is a popular intro maker with over 7 million registered users. It’s ideal for small businesses who plan on making more than one video a month. They do offer a free plan and affordable, flexible pricing options. 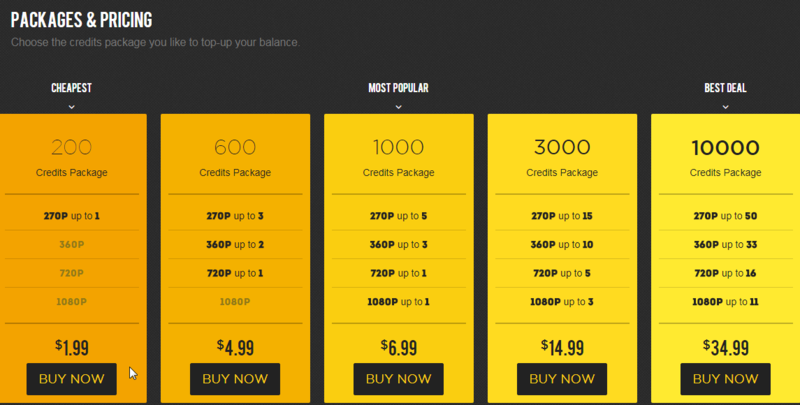 They give you the choice of either signing up for a subscription service or selecting a pay as you go plan. There are a ton of infomercial-like animations, and backgrounds to select from. It’s very straightforward to use and edit. Flixpress is the longest running video-making service around. There’s not a lot of negative things to say about this one. The big call out here is that it’s focused on business users. If you’re looking for animations or other flashy features, this isn’t the tool for you. Keep in mind that while Flixpress has a free option, it’s pretty limited. To really get any benefit out of this tool, you will have to pay for it. Check out a FlixPress intro. Ivipid is pretty cool if you’re looking for something simple and quirky, but it’s not really a professional business tool. This intro maker is very straightforward with a basic three-step design. The videos are easy to make, and they let you build customized intros that mimic big brands such as the Pixar lamp. The pricing is affordable, although the credit scheme is a bit confusing. You can upload your videos to the cloud and access them anywhere. There are a limited number of templates. The tool is not meant to provide advanced editing and customization. The interface is outdated, and there’s not a lot of support options if you have issues. The site is designed to be gimmicky and probably doesn’t offer what you’re looking for if you want a professional business image. Take a look at Ivipid in action. Want to get beautiful videos created for you? 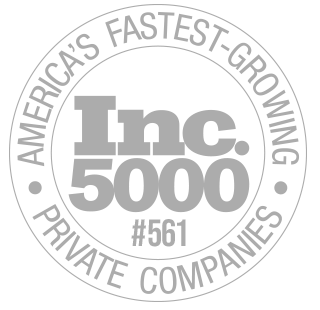 Look to see how we can help you here. Wideo claims to be the simplest intro video maker on the market. It’s a great tool for making simple cartoon animation videos for your channel, which may serve the same purpose as a traditional introduction. You won’t have any major troubles making animated videos with the app. You can easily use their template options to make a large number of different intro animations without having to put a ton of additional effort into each extra video. 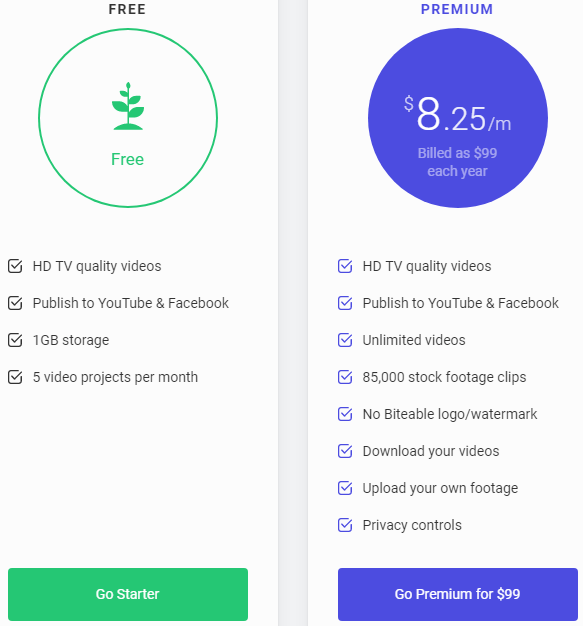 Wideo also offers a seven-day free trial period so that you can figure out if this is the right tool for you before having to fork over your money. It’s not as simple to use as it claims. It has a ton of features which are not necessarily well documented. The main drawback of is its scope: this is a tool for making simple flat-design animated videos, and nothing else. Although there is a free trial, after the seven days you have to pay if you want to use this tool. The upside, if you plan on using it a lot, is that it’s per month and not per template. Check out this sample of Wideo. Videobolt is designed to be a quick and simple tool targeted at beginners looking for something easy to use. It is easy to use; the video editor is simple and straightforward. The tools are great quality. The website interface is excellent. The biggest downside of this tool is the price tag. There is no free option and $7.99/ month only gets you one video a month. Ouch. There are few tutorials. If you want to go beyond the basics, the tool has the ability, but it can be hard to figure out the editor. Here’s a shot of what Videobolt can look like. 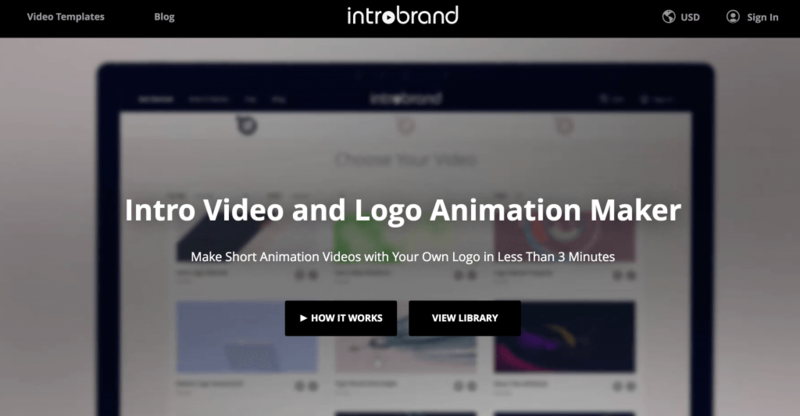 Introbrand is similar to the other tools mentioned here but is more design-focused and specialized in logo animations and video intros for video marketing. 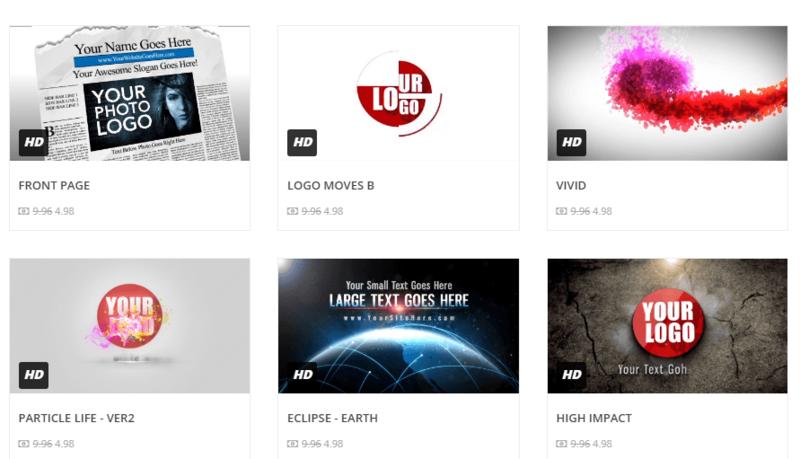 Introbrand has 70 exclusive templates made by professional motion designers and their template library keeps growing. Here’s what an Introbrand intro might look like (though there are a good variety of template styles). Now you know the good and bad in the variety of intro maker tools on the market. The point isn’t that any one tool is better than another. The tool you choose will depend on the capabilities you need from it and your budget. That being said our personal favorites are Filmora and Intro Maker. If you have a hefty wallet and want top-of-the-line, go for Filmora. 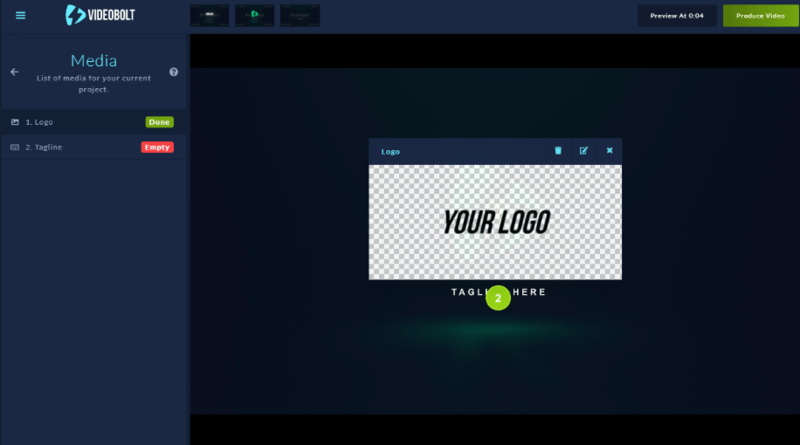 When looking for just something basic to showcase your logo, consider Intro Maker. If you want the rest of your video made for you (not just the intro), we can create incredible videos tailored to your content. Click here to see how. Which tool is your favorite and why? Let us know in the comments! ← Shopify SEO: 5 Killer Ways To Optimize Your Store To Get More Traffic! 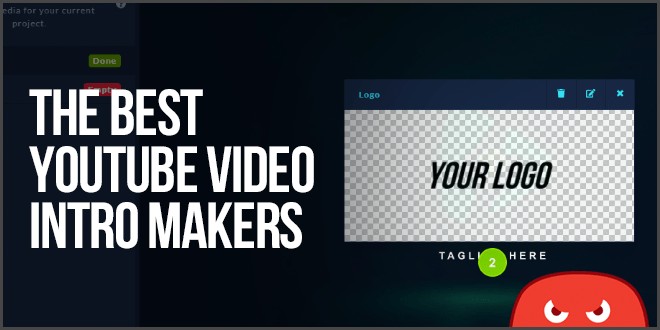 Finally I Found a Great Article Best Video Intro Maker Tools for Youtube. Thanks man. Thanks Rabby, glad you liked it. Very relevant and detailed introduction to the video tools. Nowadays, videos are attracting more traffic. This is a great resource. Videos are the future, and there are a lot of tools to make them 🙂 Glad you liked it!